Confused by all the offers from the major cell phone providers (Verizon, AT&T, Sprint, T-Mobile, etc.)? There’s a price war going on between the major carriers. Although price is a consideration in selecting a carrier, saving a few dollars should not be the major factor when signing a contract. Having an unlimited or discounted data or phone plan is useless if your service is poor. First, you must determine which provider offers the best service in your area. Are you frequently getting disconnected in the middle of a call? How is the voice quality of the calls? Second, you should check the signal strength in all parts of your home or office. If you are a frequent traveler, how is the service on the road? How about your second home? If you are moving to a new location, check with your neighbors. Find out what works for them and which provider (s) have poor reception. I have a client who recently moved a few blocks away and found the provider she was using in her old apartment did not work in her new building. Another client found that her provider only worked in a few rooms in her new building. There are a number of discounted service providers offering deep discounted rates. However, the majority of them are using one of the major providers listed above. 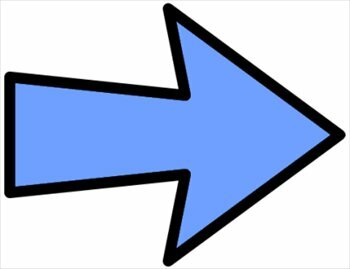 If you elect to go that route, check out who they are using before signing up. Don’t be tempted to sign up with a provider because of a great deal or a pretty new phone offer. The name of the game is quality of service. So, what’s new? The iPhone SE is a new 4-inch smartphone that offers a smaller and cheaper option to the iPhone 6S and 6S Plus. Apple’s new iPhone SE looks almost identical to the iPhones 5s, but comes with the hardware and capabilities of the 6s. Apple has targeted the phone to consumers who were put off by the size of the 4.7-inch iPhone 6s and 5.5-inch iPhone 6s Plus. To read PC Magazine’s full review and comparison of the iPhone SE and iPhone 6S CLICK HERE. Streaming is defined as a method of receiving videos (movies, TV shows, etc.) and audio directly from the Internet without having to download them into your computer, tablet, or smartphone. These “multimedia” files are large files that could take a long time to download and can take up a large amount of space in your computer and devices. When you are streaming a movie, TV show or other video or audio, it is the same as viewing your television in “real time.” The only difference is that you are receiving the media from the Internet and not directly from a TV station such as NBC, CBS, HBO, etc. 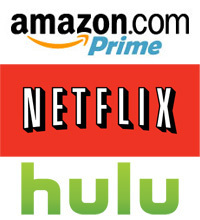 Popular sources of Streaming (or Digital Streaming) are subscriber based sites such as Netflix, Hulu, and Amazon. Also a number of news services such as ABC, NBC, and CNN, to name a few, contain links to video clips. As for audio, popular music sites are Pandora and Spotify. Unlike iTunes where you are listening to music that you have downloaded into your tablet or smartphone, these and other web based music sites are streamed from the Internet as well. It is recommended that Streaming be limited to wi-fi locations, since Internet access through wi-fi is free; particularly at home and a host of areas and places such as Starbucks, hotels, and some airline terminals. Using your wireless carriers (Verizon, AT&T, Sprint, etc.) for Internet access can be costly (ie: Streaming 2-3 movies in the course of a month could use your entire data plan for that period). If you are planning a long trip and want to be able to view movies or TV shows either on a plane or an area without wi-fi, you should download the files (in an area with wi-fi), watch the programs and then delete the files from your tablet or phone. Yes, some airlines have wi-fi. However check out the rates before subscribing. The number of web based sites offering Streaming is increasing daily and has become a very popular way of accessing content such as movies, movie trailers, and recent TV shows. To many, it has proven to be a viable alternative to subscribing to a costly Cable TV service. 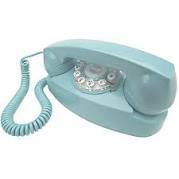 Remember when your phone was only a phone and it had to be connected to a wall jack? Outside, you needed to find a pay phone and have coins to place a call. Wow, how times have changed! Chances are that if anyone told you at that time that your phone someday would be a device that exchanged e-mails and messages, listen to music, catch up on the news, check the weather, stocks, and watch a movie, you would probably want them committed. It is estimated that over two-thirds of the US population owns a smartphone. A smartphone is loosely defined as a hand-held computer, typically offering Internet access, data storage, email capability, etc. If you already own a smartphone (iPhone, Galaxy, Blackberry, etc. ), it probably came with basic apps (applications) that will permit you to surf the web, take pictures, and communicate with friends and family via e-mail or text messages. These are just a few of the many services that are offered online. If you would like to discuss your personal preferences and how to set them up on your smartphone and/or tablet, give me a call at 917 921-4518 or e-mail me at jblue@bluetutor.com. Did you ever believe that IBM would be selling iPhones and iPads? As part of the exclusive IBM MobileFirst for iOS deal, IBM will sell iPhones and iPads loaded with software for its business clients. “The millennial generation has consumer technology figured out. They keep costs to a bare minimum while their parents pay hundreds of dollars a month for cellphone, cable or satellite TV, Internet services and other technology.” So states Karen Blumenthal in an article in the Wall Street Journal. In her article, she suggests you consider whether you need a landline and why many people are just relying on their cell phone at home. For those of you that have a smartphone, make sure your data plan matches your usage. Savings can also be realized by making sure you are using wireless technology, whether at home or on the road to access the Internet. And finally, do you really need a TV? What Your Kids Can Teach You About Tech – WSJ.com. Should You Be Upgrading To The Latest iPhone? A great deal has been written about the new iPhones (5S and 5C). Should you consider upgrading or sticking with your current phone. 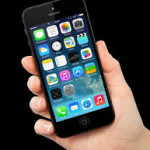 If you have the iPhone 4 or 4S, the new phones offer a significant upgrade. If you have the iPhone 5, you might not be interested unless you are interested in some of the new features described in the articles below. Here’s what Shelly Palmer has to say about the new phones. iPhone 5s, 5c Release Reveals Apples True Direction. For another analysis, click below to read what Walt Mossberg from the Wall Street Journal reports. 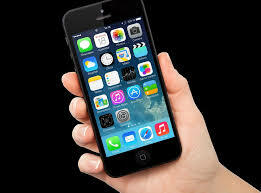 David Pogue in the New York Times outlines 3 lessons to be learned from the introduction of the new iPhones. Starting a New Business? Do You Have a Mobile Strategy? If you are starting a new venture, regardless of the size of your company, your ability to be competitive will depend on the strength of your mobile program. To read the entire article, click here or below. Is Your Mobile Strategy Keeping Pace? – Deloitte CIO – WSJ.